“She cries all the time. She cries when we try to feed her and when she is hungry. But what is worse is the times she doesn't cry or speak. She becomes very dull.” - Thanu Sree's mother Prema. Doctors have told Thanu Sree's parents that she needs a liver transplant in the next two weeks because her liver is decompensated. She is already unable to eat or sleep because of how sick she feels all the time. 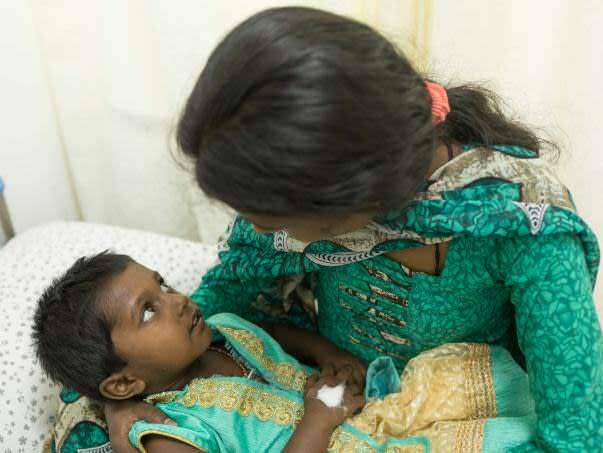 Her parents spend sleepless nights trying to think of how to save their little girl. Thanu Sree is two and hasn't yet picked up speech. 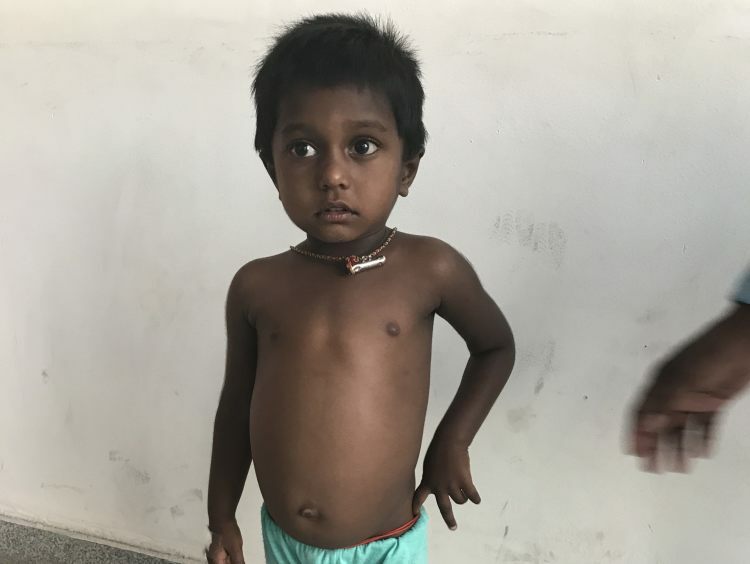 But her parents are not very surprised because Thanu Sree's brother Anish also learnt to speak only after his liver transplant because his liver was damaged too. Instead of feeling relieved that their son was saved, they are once again plunged into the same nightmare. 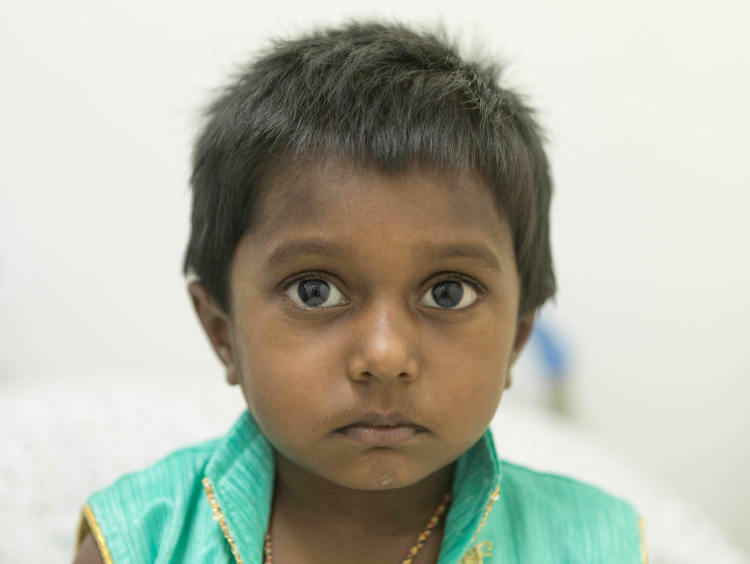 “We found out before his transplant that paapa (little girl) was sick too. That evening, sitting at home me and my husband had no words to left. Our two small children were fighting death. Our 3-year-old was vomitting blood. Our 1-year-old baby had the same disease. We did not want life for ourselves.” - Prema. But they realised they would never give up. They applied for government aid and got the local MP to help. After facing a lot of difficulties they managed to save Anish. For Thanu Sree, they once again approached everyone – but the second time, help is slow in coming. “We live in a small village in Kurnool district, Andhra Pradesh. Asking for help or even taking paapa to the hospital takes hours. Everything is difficult. I can see that she is becoming dull. She never wants to eat anything and he stomach is swelling too. The doctor has asked us to do the transplant by this month.” - Prema. Thanu Sree refuses to eat because she has learnt that eating anything will make her feel sicker. She cries because she does not know why she is in pain. She has stopped playing with her brother and prefers lying down all day. 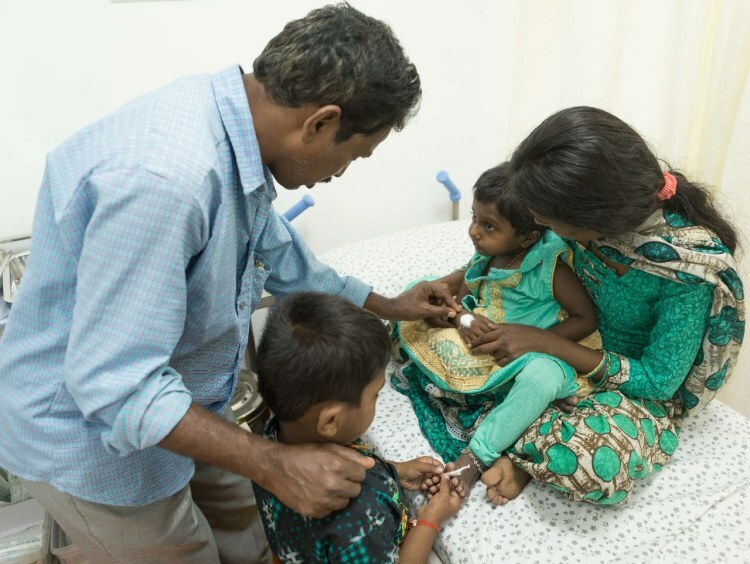 Her brother Anish (5) knows that his sister also has the illness that he had. He prays to God so his sister too, like him, can get better. He tells her not be scared of operation and that the pain will go away. He is too young to know that the reason his parents don't sleep anymore is that they don't know how they will save Thanu Sree. Thanu Sree's father Gopal runs a barber shop in their village. Prema used to work in fields as a daily-wage worker, but has stopped working since the children became sick. Everything they had has been spent and they have no way of arranging the Rs 16 lakhs needed for treatment. 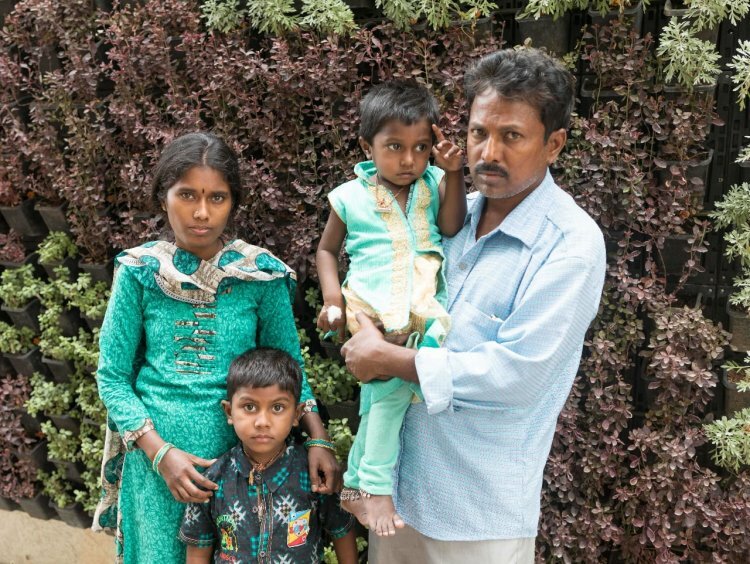 Thanu Sree's parents are too scared and worried to fully believe they will get help in time to save their little girl too. They are desperate for any help. 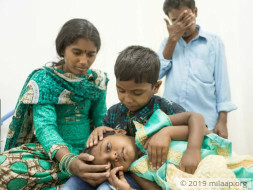 Your contribution will give them the miracle that will save the family. Here's a quick update in Thanu-shree. 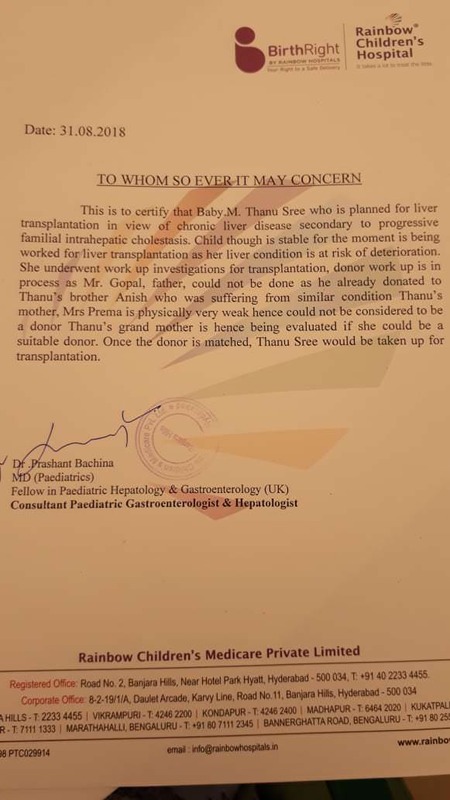 Thanu -shree is currently stable and waiting for transplant. She is responding to the treatment and is doing ok. We shall keep you posted. Currently, her health condition is stable and she has responded well to the treatment. There are some signs of improvement, however, her liver is at a risk of deterioration. Doctors have started the work-up for the transplantation. Her father cannot be the donor as he has already donated a part of liver to her brother, Anish. Her mother is also very weak to be considered to be a donor. Her grandmother is hence being evaluated if she could be a suitable donor. Once the donor is confirmed, Thanu Sree would be taken up for transplant. Please pray for her health and speedy recovery. Thank you for the wonderful support that you have shown towards my daughter Thanusree. She is doing better now compared to earlier. A few tests have been scheduled for tomorrow. Based on the reports the doctors will be suggesting the date of the procedure. 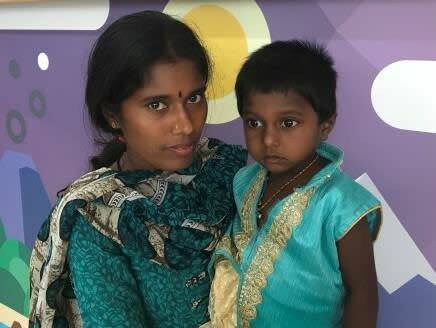 Her mother is a match and is planned to donate her liver to our daughter. Thank you for the wonderful support. Please do pray for her health and the procedure to be a success. Would request you to share this campaign further with your friends and family to help us in raising funds faster towards her treatment. Will keep you posted.